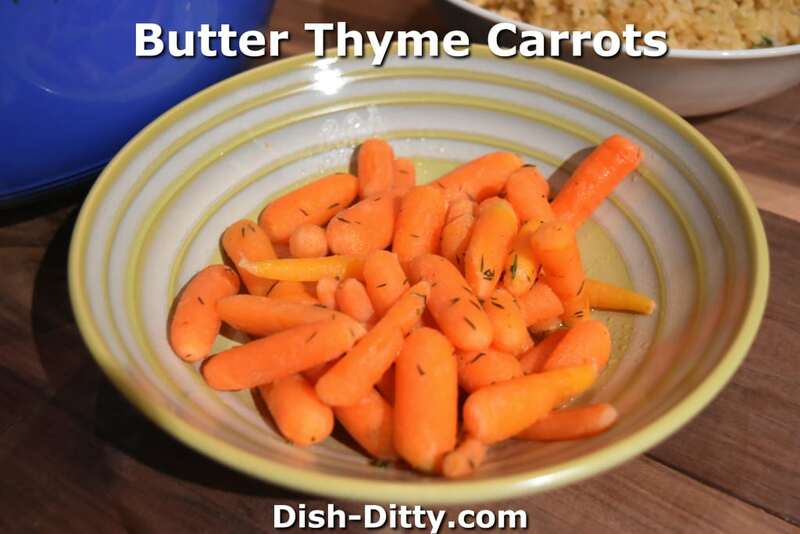 This is a simple yet decadent way to prepare the perfect carrot side dish. 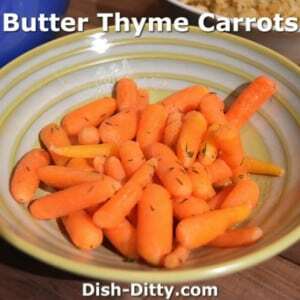 Butter Thyme Carrots Recipe is too easy, just those 3 ingredients is all that’s neeeded. Add all ingredients to a small pot. Cook on high for a few minutes, or until the butter is melted and the carrots start to cook. Reduce heat to a simmer. 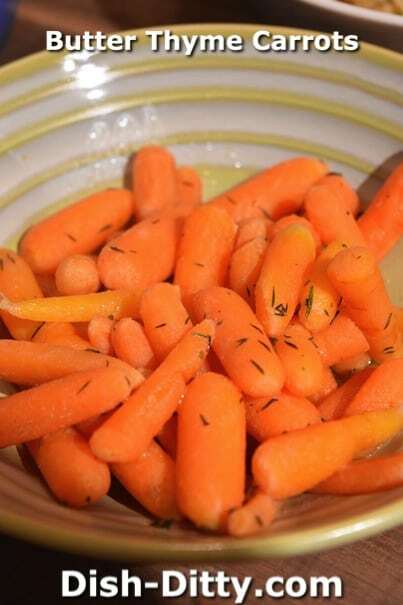 Cover and cook on a simmer, stirring occasionally, for 15-20 minutes or until the carrots are cooked to your liking. Lighten Up! Use Broccoli instead of Noodles! 1 Reply to "Butter Thyme Carrots Recipe"
These carrots are surprising delicious. I worried about not having any water, so I put in 1/4 cup chicken stock . Will definitely make these again….